ELECTION 2011: NEW PRESIDENT AND THE IMPLICATION FOR NIGERIA | ItuaLive! The Nigerian spirit was once again tested on Saturday as citizens from all works of life came to a cross road in deciding the next set of leaders to move the country forward. The Presidential election considered the most important in the series will produce the man who would steer the “ship” for the next four years. The winner of this election will also change the dynamics of Nigerian history in tremendous ways. The front line Candidates: President Goodluck Jonathan (PDP), Rtd. Gen Mohamadu Buhari (CPC), Alhaji Ibrahim Shekarau (ANPP), and Malam Nuhu Ribadu (ACN) after tedious campaigns around the country have all placed their fates in the hands of the ordinary man. Voting began at 12:00pm in most part of the country and saw multitudes troop to various polling units scattered across the nation. The emerging results have reduced the contest into a two horse race between and the PDP and the CPC with the PDP looking the more likely to clinch the winner. From announced results, it is quite apparent that the ANPP and ACN cannot win this election. The reasons are obvious. The ACN candidate, Malam Nuhu Ribadu is a new comer into political circles and was considered a “weak” candidate by many observers. He was more of a candidate of convenience presented by his party and his candidature did not muster any real challenge. The ANPP which was a major opposition party in the 1999 and 2003 presidential election has dwindled in influence primarily due to its unholy alliance with the PDP in the Yar’Adua lead Government of National Unity. Other than its influence in Kano, and Zamfara states, ANPP is almost finished as a party. Although Ibrahim Shekarau may have shined in the NN24 organized presidential debate, the light did not culminate into votes for him or his party. I have earlier discussed the implications of a Buhari presidency in a write up titled BUHARI-BAKARE: STRANGE BED FELLOWS OR AN ACT OF GOD? I would focus now on the man Jonathan (Atiku Vs Jonathan), reasons he would likely win this election and the implications of his presidency. It is an undeniable fact that it was providence that thrust President Jonathan into stardom. It seemed like it was by the very “finger of God” that he was anointed President after the death President Musa Yar’Adua. A man who in 2003 was only a deputy governor of Bayelsa state. A man whose name made the news only because his principal was caught with his hands in the “cookie jar” (A very large cookie jar). He was later handpicked by Olusegun Obasanjo to serve as running mate to Late Yar’adua not for his élan, eloquence or, erudition but because he would appease the restive South-South youths. Jonathan who was sidelined by the infamous “cabal” within the Yar’Adua government and called names suddenly emerged to the highest position in the land following a Doctrine of Necessity enforced by the National Assembly. This is a true Cinderella story and music to the ears of Nigerians who see the Almighty in everything. In a country where religion plays a major role in the way people live their lives and relate to one another; nobody wants be seen to be fighting against God. President Jonathan should thank is parents’ everyday for this name. How anyone thinks they can win against a name like “GoodLuck” is puzzling? The name is catchy, and spellbinding. The name GoodLuck was a complete nightmare for other political parties as they could not even wish their supporters “goodluck” after their political rallies. If I remember correctly, the ACN mistakenly said goodluck once to bid their supporters farewell and later corrected themselves to the less effective “good day” when it was about 6:00pm. Whether or not you accuse President Jonathan of using state resources to fund his campaign; you cannot deny the ingenuity and far reaching effects of his campaign team. GoodLuck Jonathan was all over the place. He bought over the advertisement industry. 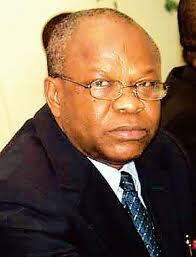 He was on TV, on radio, on every Nigerian internet site including social networking sites like Facebook and Twitter. He carved a niche into the skin of every Nigerian. His Neighbor to Neighbor initiative took the other parties to the cleaners. I was coming out from church some time ago and a boy not more than twelve years of age came to me and tried to convince me to vote Goodluck. I was impressed. At that time, my vote was certainly not going the way of PDP but that little boy plunged a hole at my resolve. I began to think, this Jonathan guy is so serious he even sent kids. Secondly, the entrance of Jonathan into the scene enlivened the Presidential race. It sure would have been utterly lackluster if it were Atiku vs. Buhari vs. Shekarau. Am quite sure the large turnout of voters could as well be credited to Jonathan’s candidacy. Jonathan has no legitimate “god father” who can lay claim to giving “birth” to him. Although, he may have surrounded himself with the likes of Olusegun Obasanjo, Theophilus Danjuma and Tony Anennih, to stabilize his hold on the presidency in the beginning of his administration, many see him as his own man. Nigerians who have been used to a certain clique of friends (and enemies) controlling majority of our resources by allocating oil blocks to themselves leaving hapless Nigerians to suffer in penury are refreshed by the fact that a new breed of politician in the image of Jonathan is on the scene. The mere fact that Jonathan could have gone the way of Obasanjo by appointing a “customized” Jega that would be loyal to him the way Iwu was to Baba but didn’t is commendable. Prof Iwu was busy announcing results of governorship elections he had no business doing while votes were still being counted. The man should look for a place to bury his head in shame. GEJ chose to implement the electoral reforms he promised and appointed an impartial umpire when he knew he was going to run. This is like unlike any other leader Nigeria has seen. A Jonathan presidency will potentially put paid to zoning for ever. Nigeria has been torn apart several times by ethnic sentiments whipped by politicians. 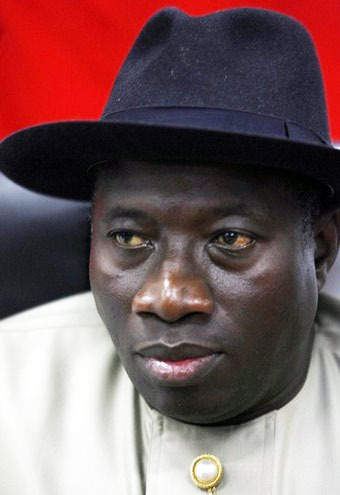 Jonathan, an Ijaw man from the South- South has caused a disruption in the zoning formula. If he wins, it would mean that any Nigerian irrespective of tribe or religion can become president. And that to me is the beauty of democracy. The so called oligarchies in the North (the Ciroma group, Atiku, Gasau, IBB) have lost whatever political clout they thought they mustered. It would be clear that Nigeria is for Nigerians and it is practically IMPOSSIBLE to become a president by seeking votes from any particular region. The candidate must appeal to all Nigerians and not only from the northern part. Jonathan’s victory can also mean that the Obasanjo days of overwhelming influence may well be over. I do not believe President Jonathan would kick OBJ out of his kitchen cabinet but it has become obvious that the “power” OBJ has over Jonathan will dissipate. Baba, who could not return his Daughter Iyabo as Senator of the Federal Republic cannot claim to have any real loyalist anymore. OBJ is now like the Biblical Ahithophel whose counsel was discounted by Absalom thereby losing his relevance. Simple: The PDP, the PDP and the PDP. Most Nigerians believe this party is the synonym for pure evil. One can only be as good as the people that surround you. Some argue that Jonathan is a good man but tainted by his party. But I keep wondering, did President Jonathan just join the PDP? Didn’t he benefit from the “Iwu guaranteed” election victories? Has he suddenly become born again? How he goes along to extricate himself from a party that has been miserably woeful in twelve (12) years would be interesting to watch. It would also be more interesting to see whether people the likes of Anenih, Madueke, Iyabo and Co. find their way into his cabinet time around. My solemn advice is for him to bring in technocrats and stop this recycling of people who simply have nothing to offer. Again, how he hopes to tackle corruption when his cronies have hands deep in government purse is something close to an impossible task. All most members of his party are interested in is how to “chop and chop”. He may as well start giving out the contracts, appointments. The collation of the result is still ongoing but as it stands, Jonathan is coasting home to victory. But whoever wins, it is a victory for democracy. Nigeria has successfully conducted four elections without any interruption in the democratic process. This should not be taken for granted for any reason. Fine, the guys in the National Assembly maybe bleeding our economy dry but the Freedom of Information (FOI), Minimum Wage Bill and Local Content Bills have all been passed. The music industry and Nollywood have both blossomed all since the advent of democracy. These may not be seen as much but they are little strides in this Journey. It has taken America 200years to get where they are and it will not take us any less.